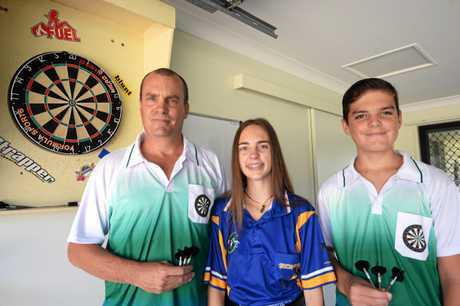 CAPRICORN Coast carpenter Dean Abbott maintains that darts dramatically improved his mathematical ability and now he's seeing the same advancement in his two children after they started playing about six months ago. Mr Abbott said 14-year-old daughter Taryn's grades had gone from a C minus to a B plus, while son Hayden, 12, had enjoyed similar results. The youngsters were keen to give darts a go and dad happily encouraged them, aware of the benefits it had provided him. "I started playing darts back in Biloela in Grade 10 in 1986. My maths was just average and within four to six months I was top of the class," he said. "I went through and I have a very good mathematical head now. I see sums and I just know the answer. I hardly have to work it out and I put it down mostly to the darts I've played over the years. "Both my kids were sitting as average students, possibly even at the bottom end of average. I wanted to do something to try and help them and just sitting down with them wasn't working. "They both wanted to have a game with me. I thought we'll work with that and use darts as a way to help with their maths." Mr Abbott said darts players had to calculate numerous mathematical equations on the run. "You need to be able to multiply because you're trebling numbers all the time, you're doubling numbers," he said. "With three darts in your hand, you can hit a triple 19 and a triple 20 and you have to add that up, and you need to be able to work those sums out in your head quite fast. With that, you also need to be able to take that number away from the existing number you started with. 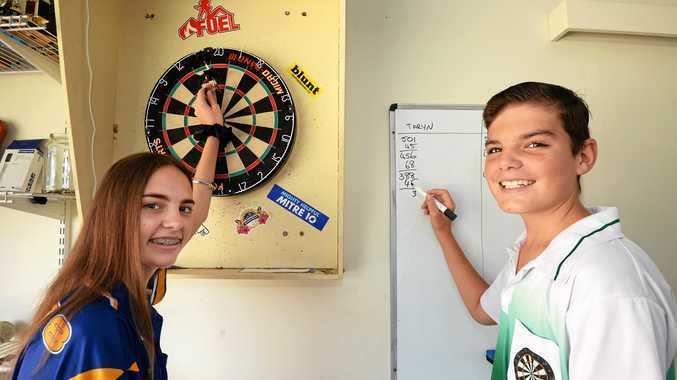 "Darts took them (Taryn and Hayden) from struggling with maths to improving their maths beyond what I could expect within a six-month period." Mr Abbott's children are now as passionate about darts as he is, and are keen to go further in the sport. "It originally started as an idea to help with their maths but both my children have fallen in love with the game," he said. "Taryn represented Central Queensland for the juniors last year and came runner-up in a restricted singles event at the Queensland Championships back in September. "She can't wait for the next state try outs, and Hayden's going to have his first run at state trials this year." Mr Abbott is also keen to revive his representative career after previously playing for CQ. 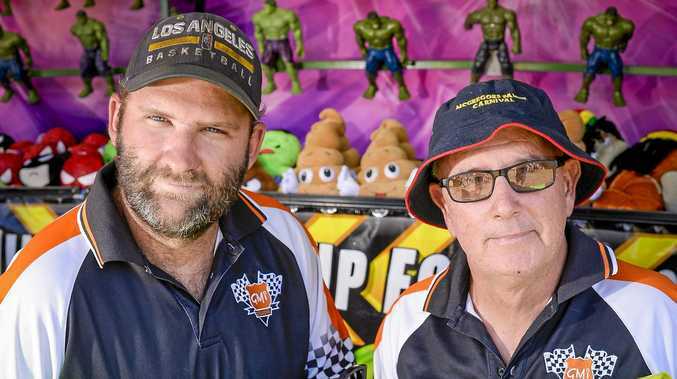 The Abbotts play weekly fixtures in the Rockhampton District Darts Association competition each Thursday. Mr Abbott said darts had improved the children's maths and helped build their confidence and improved their social skills. "The other good thing about darts is that it's something children can get into and play straight away," he said. "They get a set of darts in their hands and away they go, they're playing the game."